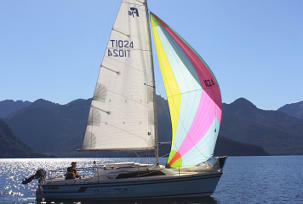 New Zealand Trailer Yacht Association now welcomes individual members. Individual membership is for trailer yacht owners and persons interested in ensuring that the ownership and sailing of trailer yachts in New Zealand continues to flourish, and who aren't a member of a Club or body that is already a member of NZTYA. Generally be part of a group of dedicated trailer yacht enthusiasts keeping the sport alive in New Zealand. The cost of being a member of NZTYA is $10 per year and is payable on joining NZTYA by credit to the New Zealand Trailer Yacht Association account at BNZ Taupo - 02-0428-0117840-000. The annual membership fee is payable in February each year. A reminder will be sent for payment. To become a member, please complete the following application form.